Those words “bad tenants” are the reason you have selected our site. Are you ready? Selling your house with bad tenants fast is a possible answer for a bad investment or bad rental. Selling your house with bad tenants demands fast action. Maybe you’re thinking, “How can I sell my house with bad tenants fast? My house is in bad condition.” The answer is here, because that is all we do. We buy houses with bad tenants fast, sometimes the very day you call. How can we buy houses quickly? We are located in Hampton Roads. We know the real estate market in Norfolk, Portsmouth and Virginia Beach. We understand the need to sell a house with bad tenants fast, so our customers are happy and satisfied because we put their needs first. Situation: My real estate agent can’t rent or sell my house fast. Situation: My house needs repairs and seems hard to sell. Situation: My house is vacant or I am tired of being a landlord. Situation: A bankruptcy is leading me to seek the sale of my rental house now. Situation: A divorce has left me and my ex- with a rental house that must be sold. Situation: I am facing foreclosure very quickly. I am behind on my mortgage payments for my rental unit. Situation: My job or family situation has required me and my family to relocate. Situation: I am making payments on two houses at once, I need to sell my house. Situation: I have inherited a rental property and I need to sell it. How can I sell my house fast with bad tenants? By calling the a company that buys houses, you have already taken action. We buy houses quick and we buy houses as is with or without tenants. So your thought and decision to sell my house now has been made, just complete our form or call us at (757) 285-1234 and consider it sold. We will pay top dollar for your house. We will buy your house complete, we will take over and honor any lease arrangements. We will take care of all the details including notices to tenants. If you are you ready to sell a bad investment, we can help. You are not alone! 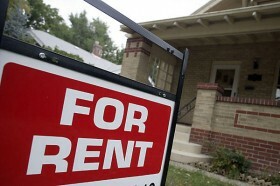 The failing economy and mortgage crisis has affected many investors with bad tenants. 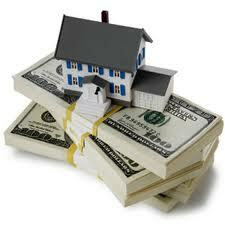 You might ask, “When I sell my house fast, will I receive cash?” Absolutely! Whatever your situation… a bad rental, inherited property, transfer, divorce, foreclosure or even a condemned house.